Add the honey, brown sugar, oil, red pepper flakes, and lime juice to a sealable plastic bag. 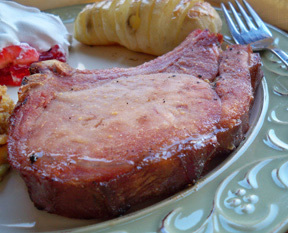 Add the smoked pork chops, seal, and place in the refrigerator. 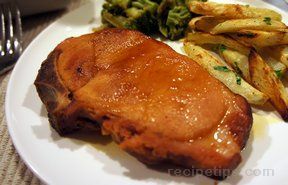 Allow to marinate for 20 to 30 minutes. After the chops have marinated, remove them from the bag. Lightly oil the grill. Place the chops on the grill and then turn the grill down to medium-high. 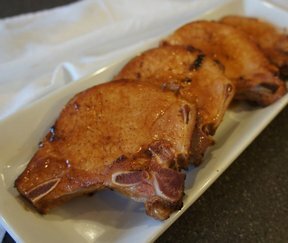 Grill on the smoked pork chops for about 4 minutes on the first side and then flip over and grill another 2 to 3 minutes. Grill just long enough to create grill marks and heat chops through. Do not overcook. "I grilled these for my wife and myself last night and they turned out great, even she thought they were awesome. 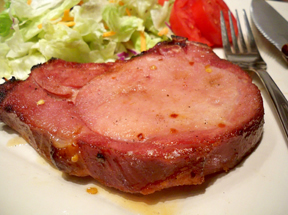 We added a salad and had a nice simple meal."